Right, i'm determined not to start anything else off until i've at least learned how to map cars for myself! I started following an old tutorial by Goresh for mapping stuff in Zmodeler and it's going well so far but i've hit a problem. The intro bit of the Tut' contains the line: "I might add you’ll need to get the plugin set that contains the Uvexport plugin." Failing that are there any good (as in easy to follow) tutorials out there for newer programs that you'd recommend? That sounds like the right one. I'll check it out later as I'm at work right now. Cheers mate! Hey up Zee tha's doin' a crackin' job lad. I hope thee finds whet thez lookin' f'wer. Ron123 might be just the guy to ask. Hey, i can map stuff! Early days yet but at least i'm getting somewhere The hood is just to test and came off a mk1 Capri from the game 'Racer'. It's low poly but very accurate looking. 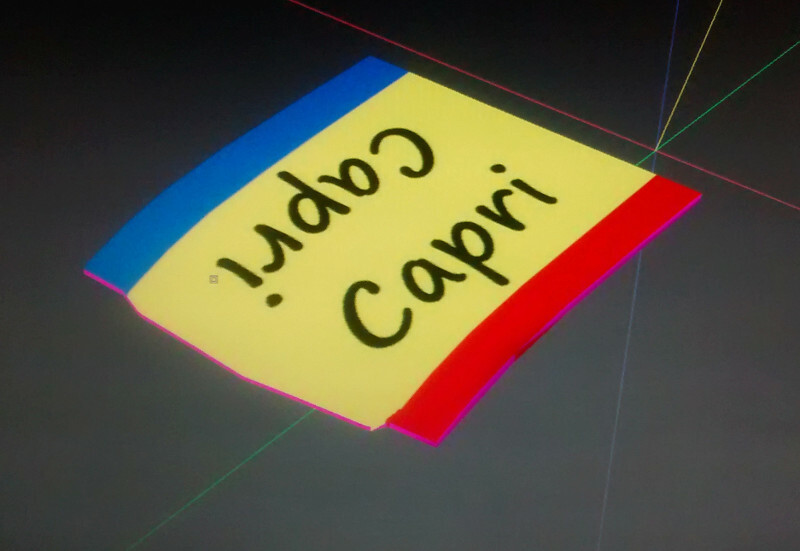 Half the car is mapped, the other half mirrored so i want to do the whole thing now. ... Congratulations mate... that is quite the achievement. I know the feeling. Whenever I learn something new in this hobby, I am very excited and proud of myself. If anyone knows a way to convert between GMT and 3ds and back again without screwing things up please let me know. It seems pointless to carry on learning mapping in Zmodeler knowing i'll never be happy with the end result. What programme are you trying to load the files into? I'm working with GMT files in 3dSimed to get stuff in game but can't load the GMT's into Zmodeler 1 which is what the mapping tutorial is for. It's not immediately obvious but if you look at the 3ds pic you can see issues around the front wing, side vents and 'hockey stick' molding. So I need to find a way to work on the bodyshell in Zmodeler that allows me to convert it back to GMT and look like it does the first pic but mapped! I know what you mean, the 3ds file format and normals (the thingies that define the reflections and shadows) are a mess. At least 3dsimed doesn't screw up the axes. And the problem when converting the file to MTS and loading into ZM1 is the same? I just tried that, 3DSE (v2) to ZM1 via MTS, worked fine, and the normals are looking good, too. May be for the car I used for testing. You did choose the F1 2002 filter when importing, right? Is that starting with a gmt? It might be because I have an older version of 3dsimed (2.6 if I remember correctly)? No, GMT is rF and GTL/GTR. There are two versions of the MTS file format around, 4.01 for F1 2001 and 4.10 for F1 2002 and F1 Challenge. 3DSE saves in 4.10 only, so you already figured you'll have to apply the F1 2002 filter. 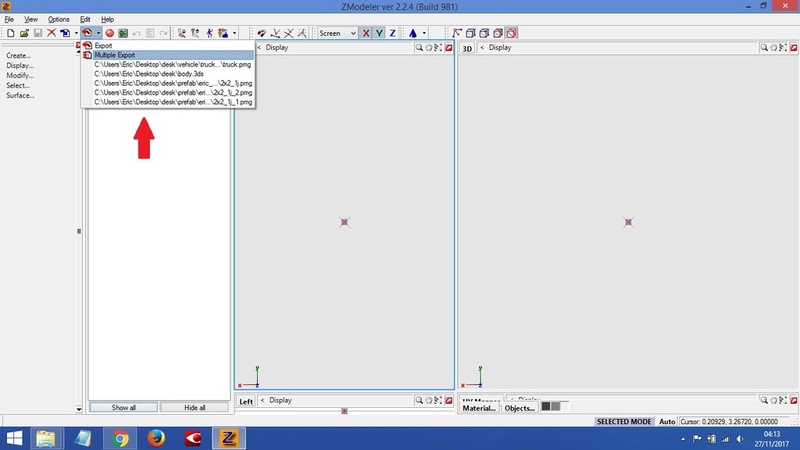 In my Zmodeler the drop down menu in import has both options for mts files but it won't load either sadly. Cool! Congrats and keep it up! BTW, what about exporting/importing to/the .OBJ format, then to .GMT? I think it's a good idea to try ZModeler 2. One of the differences is that you can work with "heavier" ( = more polygons) models without issues too. 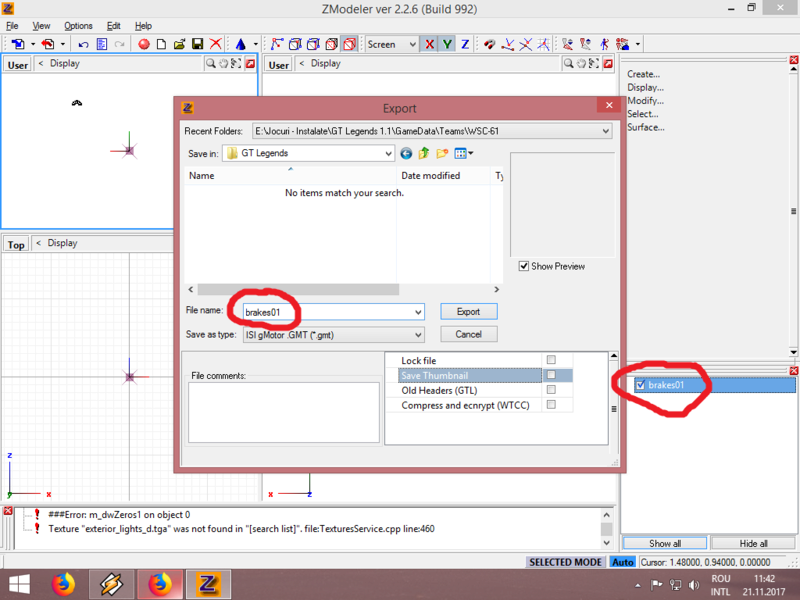 ZModeler expert, so there might be some other cases when one could end up with a blank .GMT file OR there may be an easier way to save a model with multiple materials with just 1 move. Interesting stuff guys, thanks for the input I haven't had chance to try anything this week but i should be able to get back into things shortly.